The absence of an extremity right from birth or the loss of one through an accident or sickness is extremely difficult. As the movement is very important in just about every aspect of life, not having the hands or feet to do so is absolutely frustrating. Additionally, the costs of getting prosthetics these days are tantamount to losing an arm and a leg. 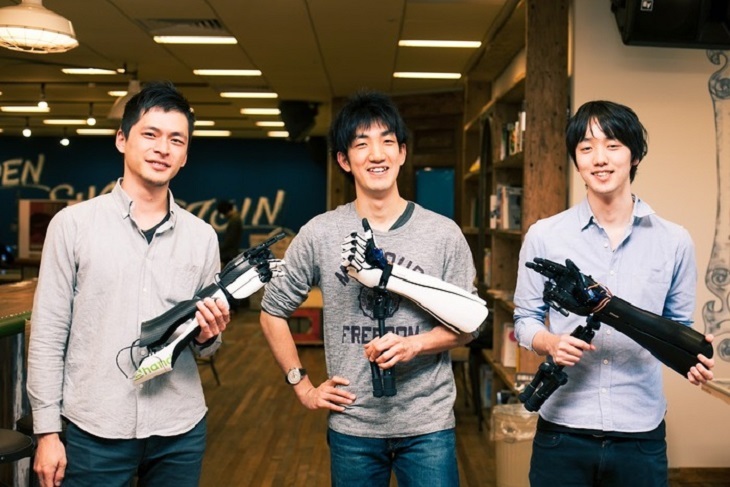 A group of 3 young Japanese men seeks to alleviate the plight of these individuals who have lost an arm or do not have one right from the start. The original prototype was greeted by a resounding success that it won the trio the James Dyson Awards and led them to create Exiii in 2014. To be sure, 3D-printed prosthetics are nothing new. There are already more than a couple of inventions that have already created a buzz in the 3D printing world for the benefits these have given to the physically-challenged. 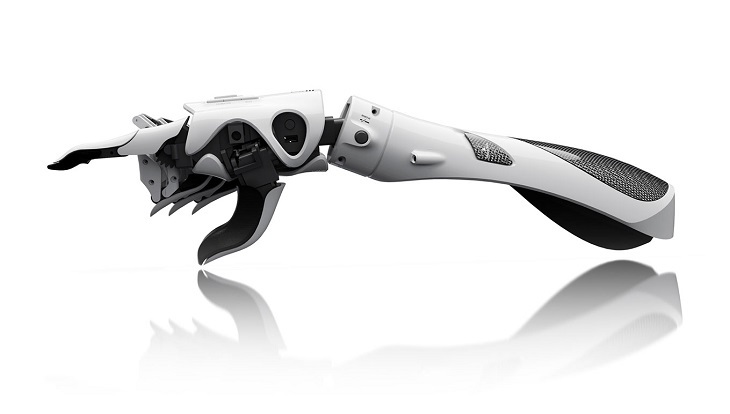 What sets Exiii’s 3D-printed arm apart is it can be produced in only a dizzying $300. For the uninitiated, most the best traditional prosthetics available normally fetch upwards of $10,000. The difference in price is just staggering and can really make a difference in the lives of those who have been longing for a chance to get some normalcy back in their lives. 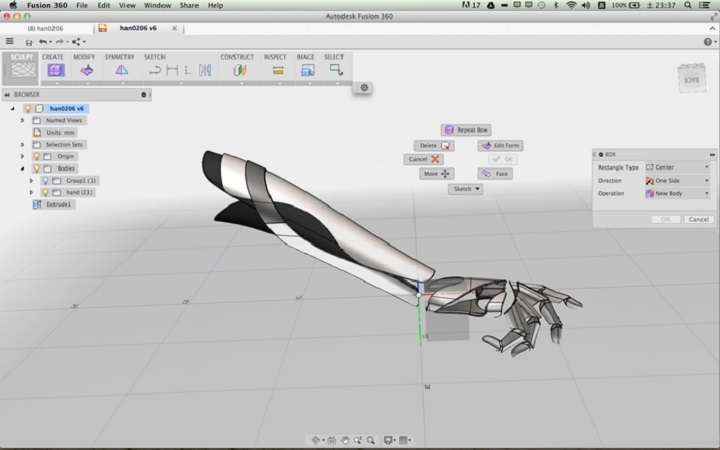 Even more so, is that one of the artificial hands is already an open-source design. 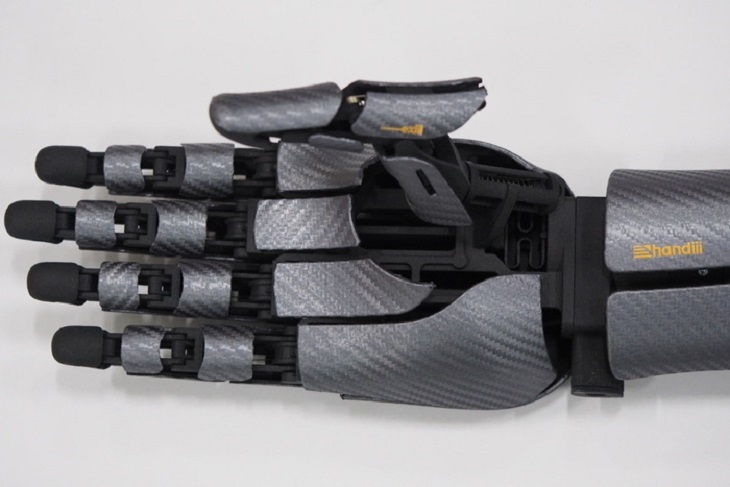 It will allow anyone who has the means to fabricate a myoelectric prosthetic hand to enjoy the benefits of what this new development offers. The following products are the handiii, the handiii Coyote, and the HACKberry, which is the latest and most advanced of the three. It is also the one that Exiii made into an open-source design. Besides being an open-source design, the latest model is also creating a buzz as it can amazingly determine between grasping and picking an object based on the impulses generated by the muscles through a sensor. This is an incredibly neat arm with a very flexible wrist and fingers that can even pick up a piece of paper or help someone tie his shoe laces. It is very light and convenient to use and will suit the women as well. As the latest is an open-source design, it will not be surprising before someone further develops and enhances this extraordinary piece of invention.